Kudos to you and your style wearing the Kate Spade New York® Pearlette Pearl French Wire Earrings. Plated brass metal earrings with glass crystal and faux pearl accents. 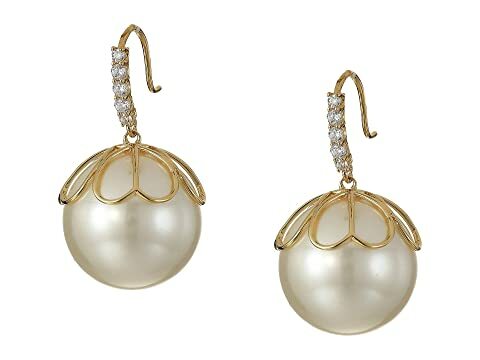 We can't currently find any similar items for the Pearlette Pearl French Wire Earrings by Kate Spade New York. Sorry!